USDJPY is under the influence of some economic reports such as Flash Manufacturing PMI in Japan and the Natural Gas Storage, CB Leading Index m/m, New Home Sales, Flash Manufacturing PMI, and Unemployment Claims in the US. 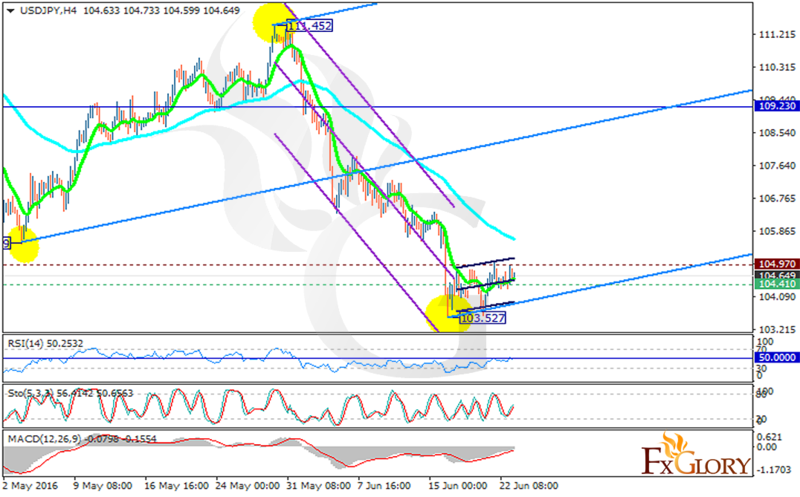 After the previous low at 103.527, USDJPY has been moving with bullish bias. The support rests at 104.410 with resistance at 104.970 which both lines are below the monthly pivot point at 109.230. The EMA of 10 is moving below the EMA of 75 horizontally. Both the RSI and MACD indicators are in negative territory getting close to the neutral area however the Stochastic is showing upward momentum. The support level breakthrough pulls the price down to 103.50 otherwise the potential growth is at 106.00.